The company took the decision after failing to raise finances through a rescue deal - a move first reported by Sky News . The collapse sealed a horrific day for the high street as Toys R Us UK confirmed its demise just an hour earlier while Sky (Frankfurt: 893517 - news) 's City Editor also revealed that the casual dining chain Prezzo was planning to shut a third of its 300 restaurants. Maplin, owned by private equity firm Rutland Partners, called in administrators from PwC after talks with Edinburgh Woollen Mill broke down amid disagreements over the continued involvement of Rutland. The chain has 217 stores and is continuing to trade normally as efforts continue to find a potential buyer. Chief (Taiwan OTC: 3345.TWO - news) executive, Graham Harris, said: "I can confirm this morning that it has not been possible to secure a solvent sale of the business and as a result we now have no alternative but to enter into an administration process. 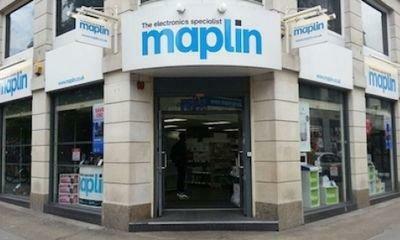 "These macro factors have been the principal challenge, not the Maplin brand or its market differentiation. "We believe passionately that Maplin has a place on the high street, and that our trust, credibility and expertise meets a customer need that is not supported elsewhere." Maplin is among many high street chains struggling against a tide of mounting costs from wages and business rates at a time of tough trading amid a squeeze on household incomes from inflation outpacing wage growth. Experts have also pointed to the effects of competition - with shoppers reluctant to part with cash for electronic and electrical goods at stores when they could often be secured cheaper online. Zelf Hussain, joint administrator and PwC partner, said: "Our initial focus as administrators will be to engage with parties who may be interested in acquiring all or part of the company. "We will continue to trade the business as normal whilst a buyer is sought.